With expectations including the delivery of better accuracy and improved resilience to EGNOS performance, there’s plenty of excitement surrounding the development of EGNOS V3. A big step toward this development was taken when the European Global Navigation Satellite Systems Agency (GSA) selected Eutelsat Communications for the development, integration and operation of the next-generation EGNOS payload on a future Eutelsat satellite. Brussels Great Market Square. Wikimedia Commons photo by Paul IJsendoorn. This year’s joint kick-off event of Europe’s major innovation competitions for space downstream applications — the Copernicus Masters and the European Satellite Navigation Competition (ESNC) — will take place April 5, 2017 in Brussels, Belgium. Registration is taking place now for this year’s joint kick-off event of Europe’s major innovation competitions for space downstream applications — the Copernicus Masters and the European Satellite Navigation Competition (ESNC) — April 5, 2017 in Brussels, Belgium. The number of places is limited, so click here to secure a spot. ACR’s ResQLink+ Buoyant Personal Locator Beacon. Spirent Communications plc this week announced its test solutions have been used to improve maritime safety, and this development came about after much collaborative work designed to ensure that GNSS receivers are performing as needed, especially for rescue operations at sea. Working with the Radio Technical Committee for Maritime Services (RTCM), Spirent has created test scenarios that simulate realistic satellite reception conditions at sea so that GPS distress beacon performance can be improved, allowing users to be rescued faster by search and rescue organizations. Galileo search and rescue beacon. GSA Photo. In effort to improve safety, the European GNSS Agency (GSA) has officially launched the Galileo and EGNOS (European Geostationary Navigation Overlay Service) test campaign for eCall devices, which allows eCall device manufacturers to pre-test Galileo and EGNOS compatibility prior to type approval. It’s been a big couple of weeks for second-generation satellite-based augmentation system (SBAS) technology and for Bethesda, Maryland-based global security and aerospace company Lockheed Martin. 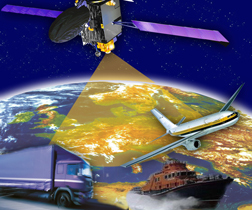 The BeiDou Navigation Satellite System (BDS) is China’s contribution to the world in the domain of Global Satellite Navigation System (GNSS). The BDS is being developed by the Chinese government, mainly through military departments, with key considerations for China’s national security, economic interests and social progress. 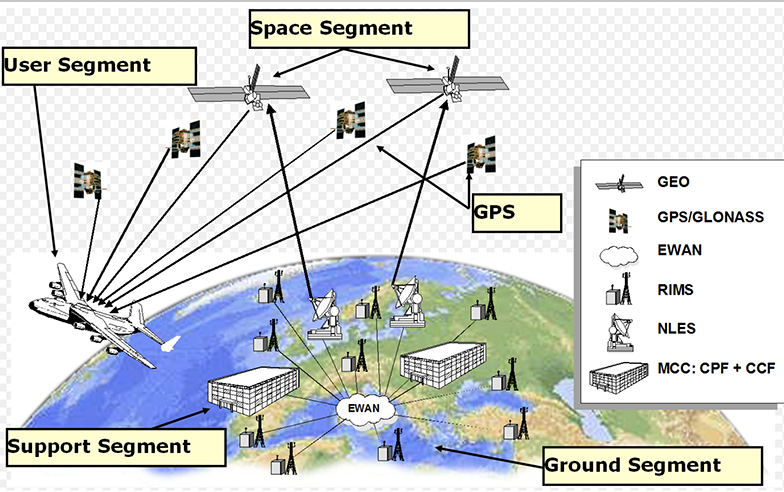 SBAS illustration with the GNSS satellites (upper left) and the communications satellite (upper right). With the Australian government’s announcement earlier this month that it would invest $12 million in a two-year program looking into the future of positioning technology in Australia, comes plans for testing of satellite based augmentation systems (SBAS) to be undertaken, and for future applications for all four major modes of transport in Australia, as well as for potential safety, productivity, efficiency and environmental benefits. This week’s Navitec Conference, entitled “Navigating the Future of Transportation,” delivered good news to an appreciative crowd at the European Space Agency’s European Space Research and Technology Centre (ESA/ESTEC) in Noordwijk, the Netherlands. How Will GNSS Fare Under a Trump Administration? With the Republican Party now entirely in charge of Washington’s prime policy real estate the neighborhood is going to change. The current residents are warily watching the newcomers take measurements for a major remodel of agencies, lobbying rules, national priorities, and international relationships, and everyone is assessing the implications of the new landscape. The European Commission (EC) has opened the third round of competition for €33 million (US$35.15 million) in Horizon 2020 (H2020) contracts for development of European GNSS (EGNSS) applications exploiting use of Galileo and the European Geostationary Navigation Overlay Service (EGNOS).